For the 2nd weekend of European Rink Hockey Club Competitions, will be 11 the live matches broadcasted live by the clubs in our website. 4 of them will be see in our webTV www.cers-rinkhockey.tv and 7 of them in our Youtube Channel www.youtube.com/cersrinkhockeytv. In the bottom part of this communication, you will find all the details for tomorrow. In Euroleague the best match of the 2nd matchday will be Reus Deportiu against Porto for the Group C. In the Group A Oliveirense will have a difficulty away match in Italy, exactly in Forte dei Marmi (neutral rink for suspension of Armeni rink) against Follonica, instead Barcelona will flight to the north of France at Dinan for confirming the firsr position. In Group B another interesting game will be the Forte dei Marmi against HC Liceo: this game will be played in the neutral rink of Correggio, because the PalaForte is suspended for 1 match. Sporting, instead will play against the german team of SKG Herringen. In Group C Lodi will want to continue the unbeaten in the away match in Saint Omer. In Group D Benfica will be engaged in Switzerland, against Montreux, instead the italian Monza and catalan Noia, will fight for the second position of the group. In Ws Europe Cup, last leg of the first round of the competition. 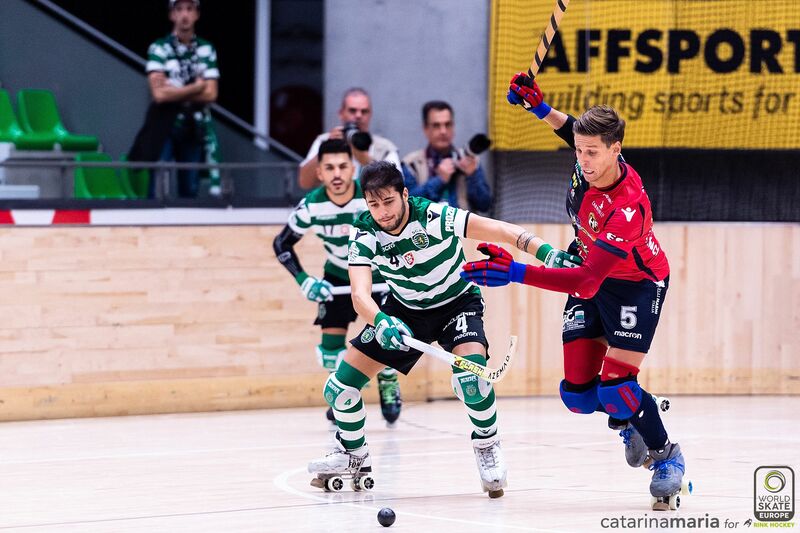 The third-time winner Barcelos needs to confirm the short victory of 5-4 in the rink of Nantes, instead the spanish Caldes needs to win in own rink for overturn the 1st leg score of 4-2 on behalf of Tomar. Only 2 games even three weeks ago: Diessbach-La Vendeenne and Turquel-Walsum. The two home team could make the best for reaching the next round that will be played on 1st december. STANDING: Oliveirense 3 points, Dinan Quevert 0, Barça Lassa and Follonica 0.